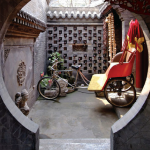 In our Eco-tourism category we feature all the posts that relate to the subject of eco-tourism projects in China – such as hotels or sights of interest with an eco-tourism focus, geo-tourism projects and other projects dedicated to sustainable travel and tourism. 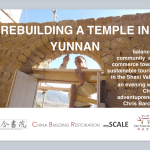 Sustainable building and leisure and tourism projects are evermore at the forefront of the rapidly developing Chinese building industry, and therefore by extension so are eco-tourism projects. Similarly to the view on sustainable building methods, eco-tourism is a fairly new trend, and I have no doubt it will pick up popularity in the years to come. As with all leading Western trends, Chinese industries are very good at imitating and adapting them to suite their own markets. 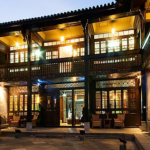 Living in Beijing for the past two years I�ve already visited several small villages near various unrestored sections of the Great Wall and other attractions, staying with local people who have created courtyard-style accommodation and provide home cooked, locally sourced food. 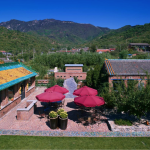 There�s no argument that these examples would not reach western eco-tourism standards, however, their use of solar-heated water tanks and home-grown produce, along with activities such as hiking or fruit-picking, does create an element of unintentional, Chinese style eco-tourism. Moreover, this type of holidaying is appealing more and more to Chinese people (two out of the four times I�ve been to these types of places I was with large groups of Chinese friends). If you’ve come across an article about, or had a personal experience with eco-tourism in China that you would like to share with us, feel free to contact us.